Kauai is known for its red dirt particularly on the south side near the “Grand Canyon of the Pacific”. 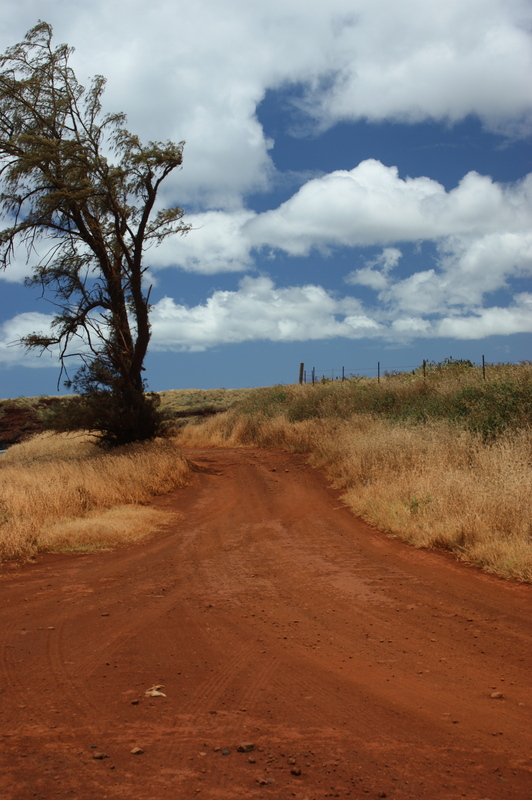 This hot & dusty road was near Hanapepe on a country road near a closed sugar mill. Hard to believe the Pacific ocean was mere yards away from where I took this photo. 22 May	This entry was published on May 22, 2012 at 4:59 pm. It’s filed under Uncategorized and tagged Grand Canyon of the Pacific, Hanapepe, Hawaii, Kauai, Pacific, photography, Red dirt, travel, vacation. Bookmark the permalink. Follow any comments here with the RSS feed for this post.